ROTOCONTROL, a manufacturer of leading-edge label slitter/rewinder inspection and finishing machines has secured another sale in Spain with TEA Adhesivos Industriales, a European leader of high-end label printing. On order is a fully equipped, high-speed BL-series booklet label machine with HTGraf, the local ROTOCONTROL agent for Spain and Portugal, instrumental in the sale. 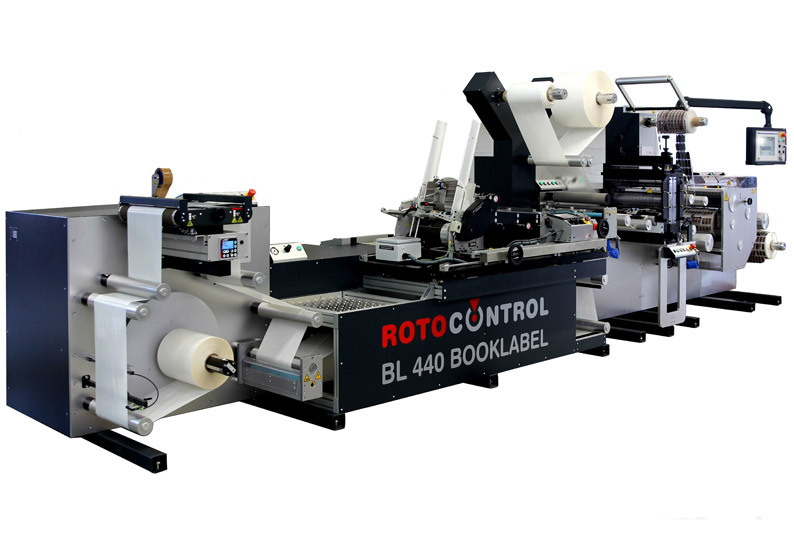 Live demonstrations of the BL-series for high-speed production of booklet labels will be one of the presented technologies at Labelexpo Europe on ROTOCONTROL's stand 7D42. "This sale marks the first ROTOCONTROL machine for TEA, and is a strategic investment as the company expands into booklet label production," said Alexander Siegmund, sales manager of ROTOCONTROL. "We offered a modular design that incorporated the range of features they desired, which will integrate well with TEA's impressive suite of advanced label printing equipment. "With operation speed reaching 60m/min, the ROTOCONTROL high-speed BL-series machine is a modular solution for ECL/booklet label processing with various sizes and formats. A wide variety of optional modules including lamination, screen printing, cold foil, hot melt unit, and flexo printing are available, delivering a complete offline solution in one machine. Integrated into TEA's BL-series booklet machine is a Longford International OS700X triple motor surge feeder, a flexo printing station, and a full-rotary/semi-rotary combination die cutting unit that produces labels without changing magnetic cylinders. A family business founded in 1987, TEA Adhesivos Industriales is a specialist in labeling processes, providing advanced personalized label solutions in self-adhesive, shrink sleeve, multi-layer, braille, RFID, in-mold and more, from various leading print technologies and a wide range of materials. Complete design services and advanced labeling equipment are also offered by TEA.